I have a love of vintage furniture. Some may call it an obsession. I have come to the conclusion that I am looking for the ultimate chair. This may or may not actually exist, but I have come pretty close. After ten years of upholstery work, I have developed a bad back. Through my youth, I assumed like everyone, that I would live well forever and not have any issues. Well, neglect of my spine, was more out of ignorance than intention, however it happened. Now, looking after my back is one of the most important things. My eyes are open. So now I am not only looking for vintage furniture that looks fabulous, but is also super comfy and well supportive. Mid century Danish made contoured back armchairs with double sprung seats. This style of chair contains a spring unit similar to a bed, on top of another set of springs. No need for foam for comfort. Mid century TV chairs. Contoured foam and often covered in super flexible upholstery wool. You feel every bit of the foam comfort. 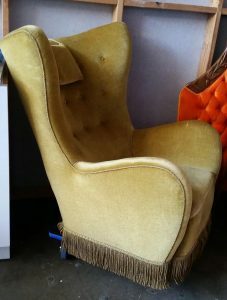 Antique lounge chair with coil springs in the seat and a loose cushion, also with a sprung back. This style of chair (could be a club chair) often have a sprung edge at the front of the seat that moves as you seat down or get up. No hard timber edge to rest your legs on. Ercol tub chairs. A mix of natural rubber Pirelli webbing and 5 inch cushion really sets a standard. The back is often a loose cushion to show off the spindles in the back. 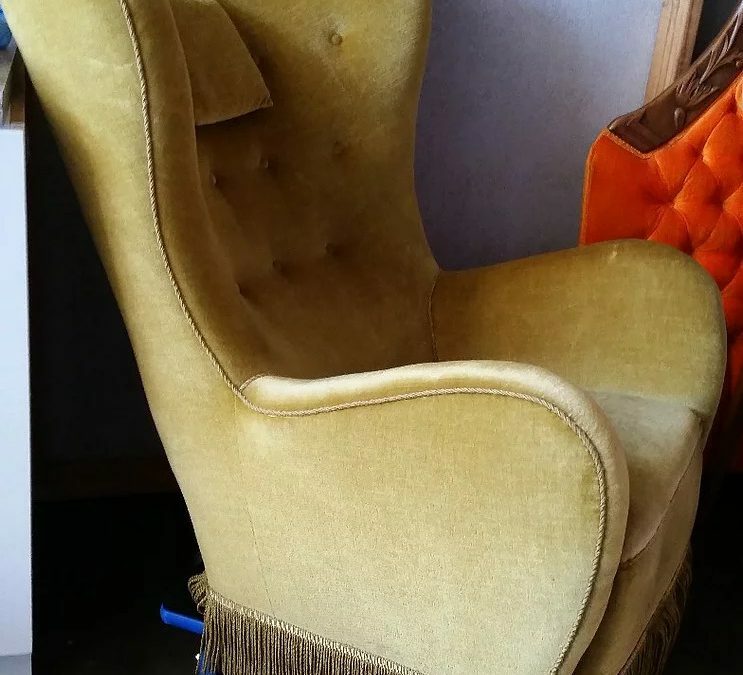 Over sized antique armchairs with upholstered arms. Like a warm hug, you are able to bring your legs up on the seat and snuggle. Suit a more traditional look.